One of the best parts about staying at a hotel or Airbnb is the opportunity to experience a different design style from your usual dwelling. 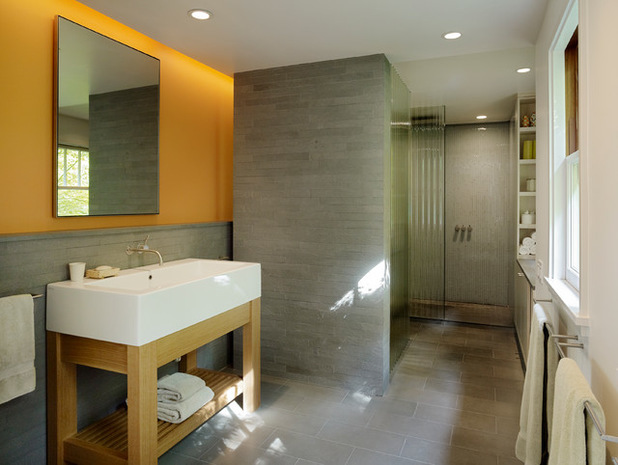 Beautiful bathrooms are one of the highlights in many an upscale residence, and who hasn’t wished that they could remodel their own home after a particularly inspirational overnight stay somewhere else? 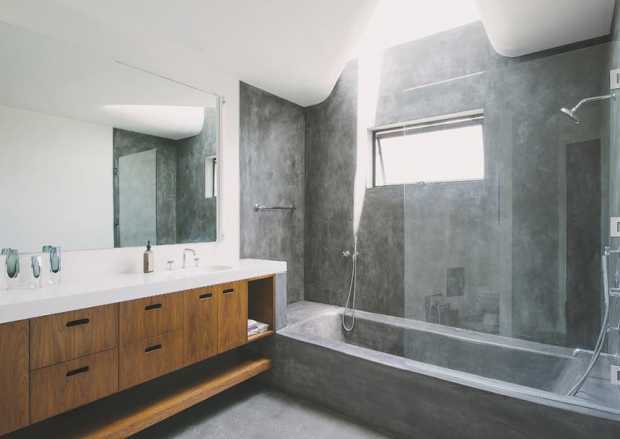 From countertops to sinks to tile selections, bathroom remodeling can be a very fun process if you know exactly what you’re after. However, if this is your first crack at the job, here are a few tips to help you along when it comes to selecting bathroom tiles. In the design world, three seems to be a magic number of sorts. From choosing wall colours to fabrics, and yes, even tiles, it’s always best to limit yourself to a maximum of three different selections if you’re doing any sort of mixing and matching. 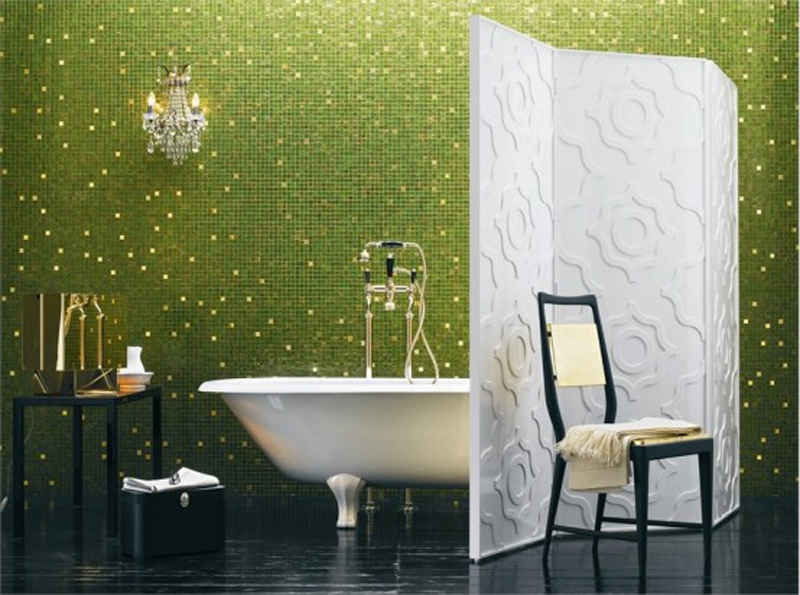 Start out by choosing a single tile style that you know you absolutely must have. From there, you can branch out to exploring one or two other options to create a complete look. When it comes to mixing and matching, the best approach is a balanced one. If you know you definitely want that super funky tile in bright teal or what have you, balance out a unique tile by selecting your other tiles in a more muted design or colour palette. Similarly, if your main choice of tile happens to be rather plain, don’t be afraid to choose accent tiles that come in a vibrant colour or style, as they can draw the eye and help break up the space in interesting ways. Speaking of colours, does it ever feel like some people just seem to know how to put nice shades together in ways that you could never dream of? Well here’s the thing… if you do your homework, you can be an expert in choosing colours in no time! The first step to choosing colours that work well together is to look up a colour wheel. You’ll notice that some colours sit directly opposite each other on the wheel. These “opposite” colours are called complementary colours, and they go quite nicely with one another. There are countless different variations on shades, and you can go with whatever you like. Design isn’t an exact science – it’s art! Split-complementary colour combos are a variation on the complementary colour combo. You begin by choosing one dominant colour. Then check out the colour wheel, locate your initial selection’s complementary colour, and then take a look at the two colours that sit on either side of it. These are your two support colours (you can ignore the complementary shade). If you’re not too confident in your colour-selecting abilities, this is a good approach for you. Split-complementary colours generally work quite well together with little difficulty. They say that rules are meant to be broken… Remember that rule of three? Well sometimes, you can break that rule and try out a rectangle colour combination instead… this means selecting two sets of complementary colours, resulting in four tile selections for your design. Just keep in mind that convention exists for a reason. 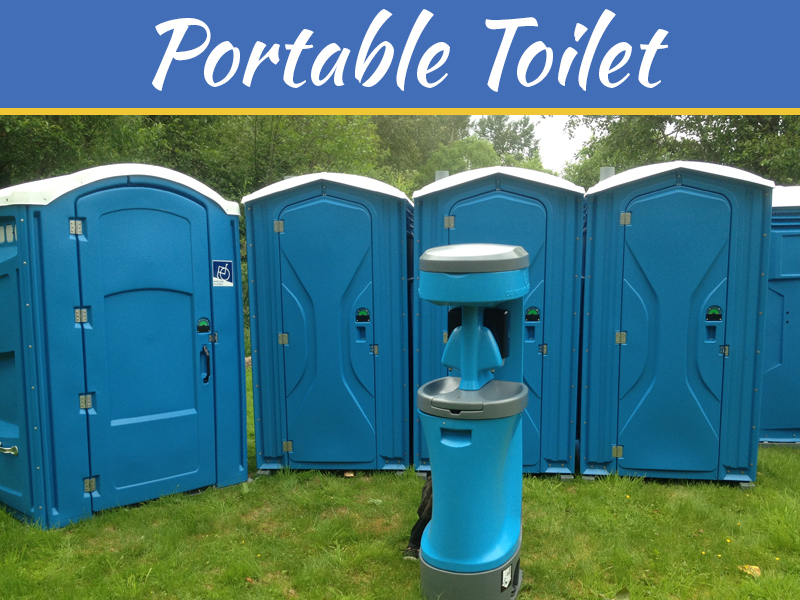 If you’re going to go the rectangle route, it might be helpful to seek some consultation to make sure your bathroom cabinet & vanity remodeling is done right. Rectangle combos can provide some great eye-candy, but they can also be an eyesore. Analogous colour combos are what you get when you select two or three colours that sit next to each other on a colour wheel. This approach is gaining traction in modern design, so you might want to go with this trend for your bathroom remodeling if you’re into whatever’s new and fresh. 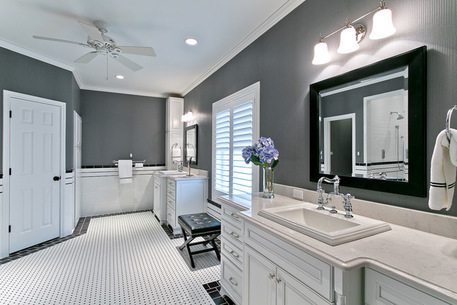 Monochromatic, neutral combos are a popular go-to analogous option for many homeowners. Select one dominant colour, another secondary support colour, and use the third as an accent for a fuss-free design. 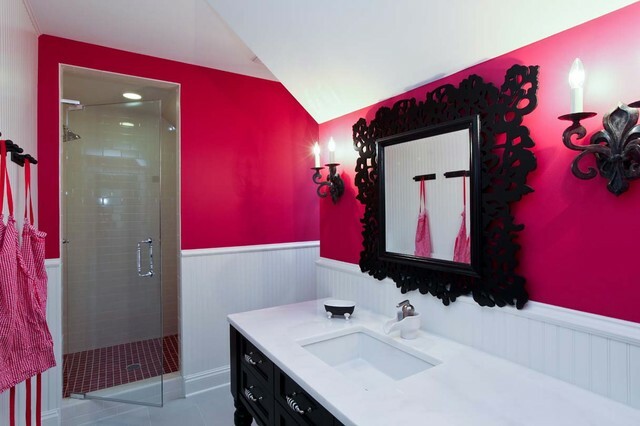 Designing your bathroom is the fun part. Maintaining it on the other hand can be annoying. You can avoid doing thankless chores like scrubbing grout lines with a toothbrush by planning your bathroom design ahead of time. Is it even possible to go groutless? It is with the right tile selection. Take a look at large slab-like porcelain tiles, back-painted glass or stone slabs, which all have very thin seam lines, if any. While some of these options cost more than your usual regular-sized ceramic tiles, imagine a future in which you’ll never have to wipe down the grouts again. Just don’t forget that glass is quite slippery and should not be used for flooring! 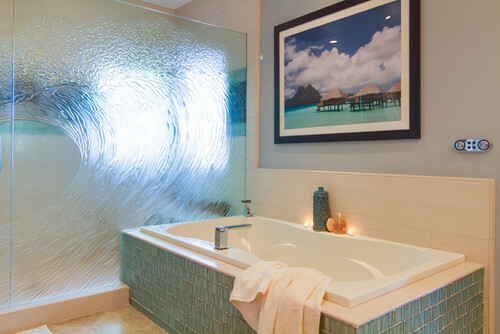 A frameless glass wall on the other hand is a great, seamless option for enclosing your shower area. Sometimes it’s easy to forget why a bathroom fan even exists, especially if you’re the type to hang around steaming the place up for a half hour or more while people are hammering away at the door… but they do exist for a reason. Invest in a fantastic fan, and you’ll be truly thankful. 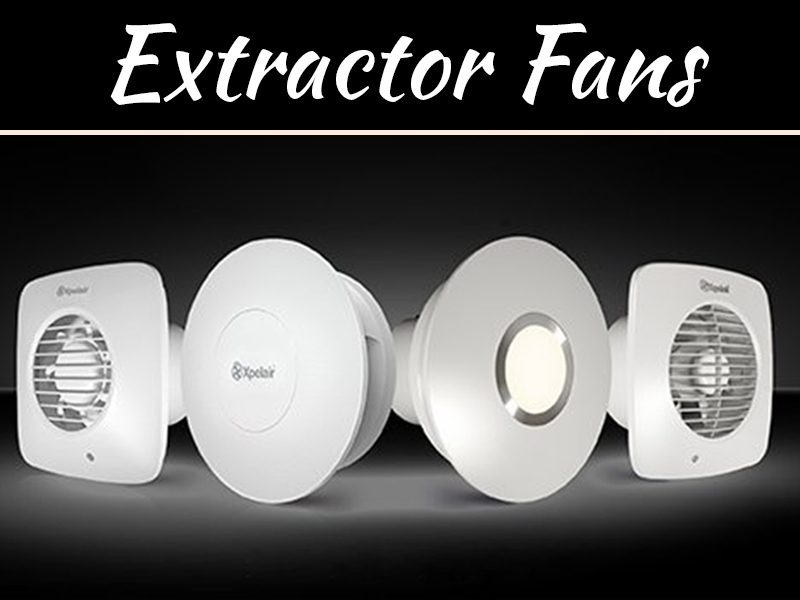 You can purchase very powerful, noiseless fans these days, which go a long way in quickly clearing the air during and after your shower. This reduces the likelihood of mildew growth on your new bathroom tiles, thereby slashing the amount of time you have to spend on cleaning. Tile selection and maintenance isn’t all that big of a deal if you’ve done your research beforehand. 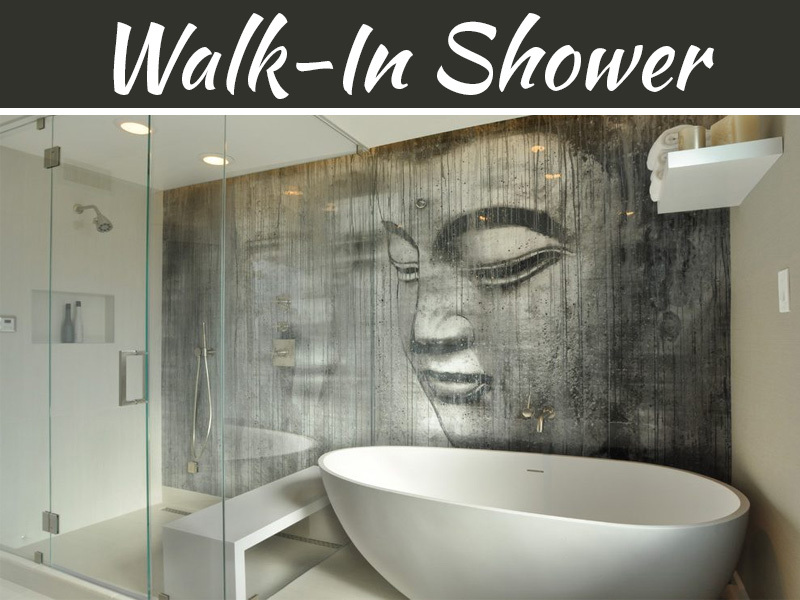 Now that you know the basics, you should be much better equipped to take that leap towards doing that bathroom remodeling job you’ve been dreaming of since your last hotel stay. Don’t be afraid to consult with your tile suppliers for advice, and of course, Pinterest, Instagram and any design magazine can provide you with more than enough ideas should you be at a loss for inspiration!